I'm going to share here my latest drawings. All drawings are first sketched in pencil, then inked in various sizes of pens, then colored in watercolor pencils. Highlights are at times finished off with acrylic paints, and about all drawings are highlighted in white milk gel pen. First off, my fursona Mana Lai Ayerus. She represents my favorite animal, my favorite colors, and my love for animal prints. Next, a Legend of Zelda potential tattoo concept I cooked up for a friend that requested it. I went ahead and strung together scans of all 3 phases one of my drawings go through. Third, a potential Cutie Mark persona design for a dear friend's ponysona. I need to redo the design and simplify it a bit. 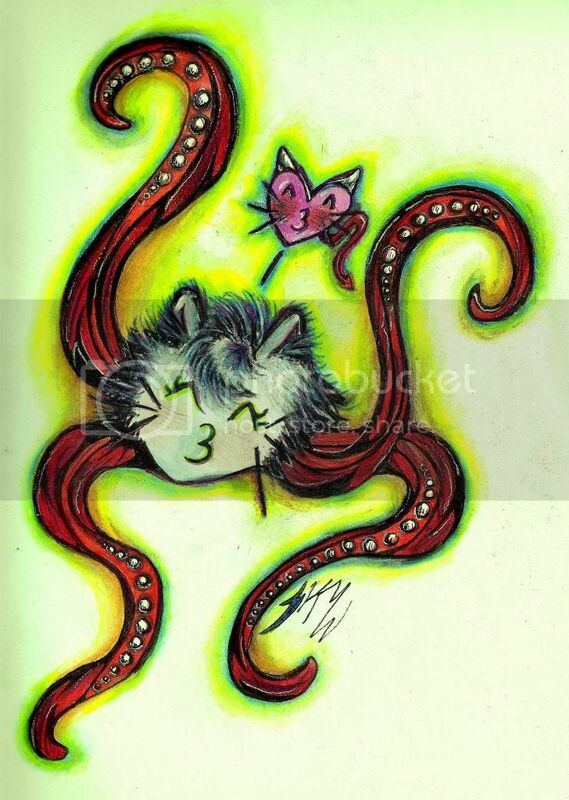 Lastly, I lovingly and jokingly turned a friend's fursona into a chibi octokitty. xDD For the love and cuteness! I like your artwork, Lightning. It has a lot of energy and the colors give it a "flow", if you know what I mean? The colors, as in your fursona, are so vibrant! I think the irony is, my fav pastel colors I've had my entire life (pink, purple, aqua and yellow) were because of my love of My Little Ponies and the rainbow logo throughout my childhood. 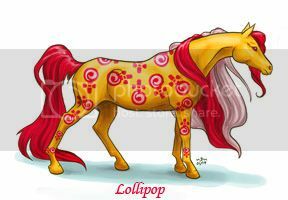 Goes to show most things throughout my life are influenced by ponies.... Guess that's why my fursona looks good as a custom pony, lol! That's awesome that you're so inspired by Ponies. My inspirations are Star Trek, like the vivid colors of TOS, and toys like GI Joe and Jem. Jem is awesome~ I've done a custom Jem pony. 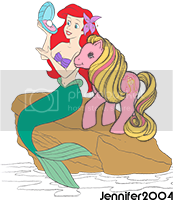 ooooo - I'd love to see your Jem Pony! That is an Outrageous! pony, I love her! Your art is really very lovely! I adore the vibrant colours. So creative! I also love your customs... so beautiul. Your eye for detail and styliing is so unique and clear. I just purchased some yarn to use for my next pony, and I admit, I thought of your work when I saw it. It's very Bohemian in nature, the colours/textures are rich and varied. It was 8 bucks a skein, but well worth it. You inspired me! Now I just have to find time to DO it! I've found that for me to work on something and get it to my expectations of satisfaction, it requires "building up" of colors and textures. That's how it is with watercolor pencil colorings, as well as acrylic paints on my customs~ Nothing is ever straight-forward.